Little bouquets of soft blueflowers dangle in a cluster from your ears. 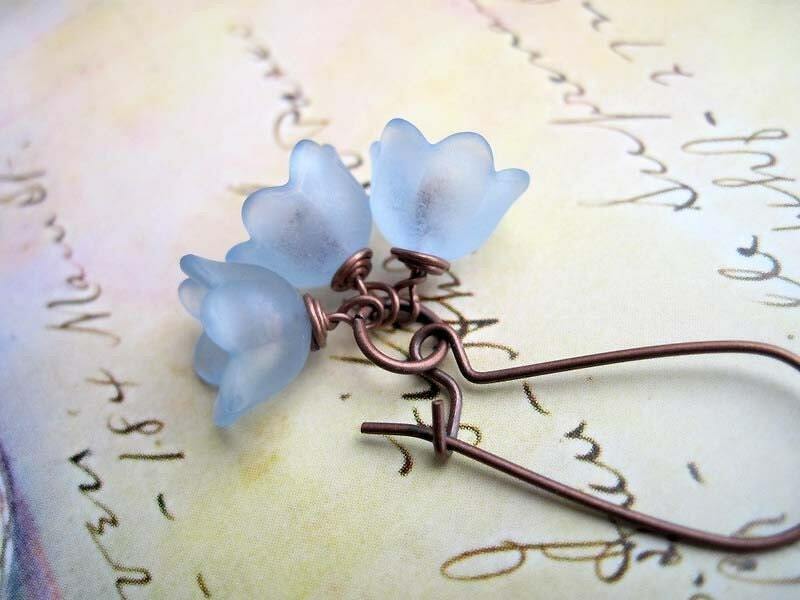 I created these dainty Spring - Summer earrings with 3 acrylic bell flowers in matte soft blue dangling from a medium size copper kidney wire. These earrings are super light in weight and measure 1 1/2 inches long. The earwires are nickel safe. Model is wearing the deep pink flower earrings. Click here to view more of my flower earrings.